Of all the horror icons throughout the history of cinema terror, none have affected me as much as Vincent Price. The King of Leer was the first horror actor I heard of, and the first to scare me. My first scare experience with Price happened when I was seven. I was searching through my parent's closet for Christmas presents. Not finding any on the floor, I checked the high shelf. No gifts, but a couple of games: Scrabble, Trivial Pursuit, and... How to Host a Murder (for anyone unacquainted with the last game, you hold a party and everyone takes part in a murder mystery). On the side of the white Murder box was a picture of an older Vincent Price, who had a quote proclaiming this was his "favorite game." The guy scared me silly. Not shocked scared, but a creepy feeling up the back of my spine (yes, it's eerily reminiscent of The Tingler). I backed slowly out of the closet and into my room (I swear to this day that my parents' did that on purpose). I didn't actually see Vincent in a movie until November of '91 (when I was 8), in The Invisible Man Returns. Even then, I didn't see him so much as finally heard his strange voice. From that moment on, I was a Price fanboy. Why Vincent Price? What is it about the actor that makes him so great? What is the horrifying appeal behind this master that makes him scare us? First, Price rarely played 'monsters.' He was almost always human, albeit mad, evil, or a combination of the two. One of his best performances was in Fall of the House of Usher. Roderick Usher was a highly eccentric, possibly insane man, with incestuous longings for his sister flickering just below the surface. It takes a gifted writer like Richard Matheson to develop such a complex character, but an even more talented actor to bring it to full, utterly believable life. Price does just that. Second, Price seems to bring a little of his 'personal character' into each part. Each role is slightly tongue-in-cheek, not only making a frightening visage, but an enjoyable one. The sneer instantly indicates an 'evil Price character,' while a bewildered stare shows a 'tortured Price character.' Sometimes, he does both in one movie, like The Haunted Palace. A major attribute to Price's mastery of horror is his voice. Price has some of the most unique vocal chords in cinema history. The only term I can think to describe it is 'liquid sinister.' It oozes evil, and yet, at the same time, can be pained and tormented. Price was always at his best when he had prominent co-stars to work with, and he's acted with some of the greatest. Boris Karloff, Peter Lorre, Barbara Steele, Christopher Lee, Peter Cushing, and Lon Chaney, Jr. have all performed with him. Price has also had his share of fine directors, including William Castle, Jacques Tourneur, Roger Corman, Michael Reeves, and Tim Burton. On a side note, Burton may have a love for Price that far exceeds my own. If you ever have a chance to catch his short film Vincent, do so. It's a fabulous tribute to the great actor, narrated by Price himself. Burton also gave Price his last film role in Edward Scissorhands. Beyond Price the Actor, though, is Price the Man. Even if the Actor is set up on a pedestal and admired for eternity, the Man must never be subjected to the same ideals. We may believe that Price can never turn in a bad performance, but he is allowed his mistakes. Overall, though, Price was a stand-up guy, a kind human being. He was a connoisseur of arts who personally picked out pieces for J.C. Penney's art-selling venture. He gave generous amounts of money to various colleges and charities. Price's acting talents cannot be denied. 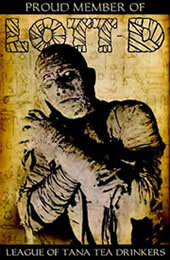 His body of work is immense, with well over 100 movies to his credit, a good portion of them masterpieces of horror. He will forever be remember by his fans. 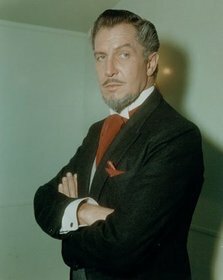 Vincent Price was born May 27th, 1911. His film career spanned from 1938 to 1992. He died October 25th, 1993 of lung cancer.